TV/radio personality Maria Menounos and digital health company Rally Health hosted a free, family-friendly event over the weekend in the Venice neighborhood of Los Angeles as part of their “Rally on the Road” summer tour celebrating healthy living. 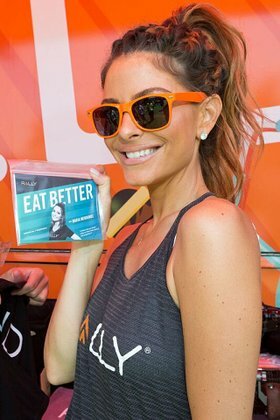 Rally Health Ambassador Maria Menounos, joined by actor/comedian Kevin Hart's personal trainer Ron “Boss” Everline, encouraged participants at the event to move more, eat better and improve their health. With the tour’s theme “Get Your Mind & Body in Motion,” the event on Abbot Kinney Boulevard in Venice offered Angelenos the chance to participate in small group workouts with Menounos and Boss that focused on simple exercises that can be done anywhere, anytime. The Rally on the Road event also spotlighted healthy eating with an activity course that challenged people to separate food facts from myths. Participants who completed this and other courses at the event got to spin a wheel for health-related gift packs inspired by Rally’s three Health Ambassadors: Menounos, Hart, and Los Angeles Chargers running back Melvin Gordon. In addition to Los Angeles, the Rally on the Road summer tour stopped in New York City, Washington, D.C., Charlotte, Atlanta, Cleveland, Cincinnati, Minneapolis, Milwaukee and Chicago. More information can be found on the Rally Health website at www.rallyhealth.com/tour.